Give your website just the creative look with our collection of creative themes. From a humble beginning, WordPress has become one of the most highly acclaimed Content Management Services. It is one of the best ways that allow you to showcase your work (or maybe even yourself if you want). Times have changed, people do not really put the hardcopy portfolios to use, and neither do they rely heavily on paper resumes. There is a great number of Creative WordPress Themes out there, which can be used to easily make a point, get your message across the barrier. 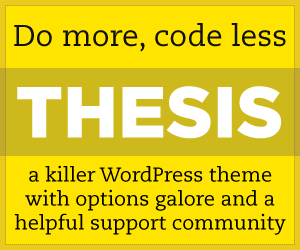 Although an astounding number of free themes available out there, but the gold of Creative WordPress Themes comes at a price. Ranging from as low as a $1 they go up to $150 and more. Have you been looking for such a theme? Then look no more. We have compiled a collection of the most Creative WordPress Themes for you. No matter what you want to display, whether it is your design portfolio or your photo journal or your anything else for that matter, you can find the theme which is right for you. Most of these themes allow for a lot of people to get their portfolio looking the best, without any prior knowledge of web development. You don’t have to run after developers and designers any more. You don’t have to pay their hefty invoices. Without any prior technical knowledge you can have your website looking just as good as any other. So go ahead take a look at some of the best Creative WordPress themes from around the Internet and give your website the much needed makeover it deserves. Pin is the best Pinterest Style WordPress Theme that comes chock full of style and customisation options. It is suitable for Personal Portfolio, Creative Agency, Designer Portfolio, Illustrator Portfolio, Photographer Portfolio and more. Pin has been built and designed to emphasize a stylistic and modern look, and also it is a clean, simplicity, cutting-edge, masonry based and multi-purpose theme with a beautiful FLAT style. Pretty Creative is a responsive WordPress theme for creatives. It was designed with creatives in mind. No matter what it is that you create, the theme will allow you to showcase your work in a polished way that allows your creativity to glint. Customizable Header and Widget, you can choose pre-made templates to build your site: Default, Archives, Blog and Landing Page. Klaus is an ultra responsive, beautiful, super flexible multi-purpose WordPress Theme that is perfect for any business (corporate, agency, portfolio, creative people, photography and blog websites). It is an elegant & modern solution packed up with an incredibly great amount of high quality features. Klaus is based on Twitter Bootstrap Framework 3.0. The theme is fully compatible with the WPML Multi Language Plugin. Elision is a Retina Multi-Purpose WordPress Theme for creative professionals. Elision is powered with amazing QODE Slider and is fully customizable. It is responsive from top to bottom and contains full-screen or fixed height sliders with parallax and fade in/out elements animations. Corsa is modern professional and flexible one page parallax WordPress theme, developed with great attention to details. Theme can be used for any type of website: business, corporate, portfolio, products, marketing, etc. You can modify layout, styling, colors directly from within the backend. The theme gives you opportunity to change layout settings for whole site and for each particular section. Magnum is an effortlessly stunning responsive WordPress theme featuring subtle design elements and many flexible elements. Designed to give your brand or service an air of esteem and confidence, Magnum is perfect for personal and business uses. Magnum is fully responsive with multiple spalash screens. Cabana is a stunning WordPress theme for creative people. Cabana supports both one-page template, or multi-page template. Cabana is perfect for design agency or any individual designer. Cabana comes with lots of custom homepage templates that you can use to design custom pages with less effort. Cabana looks fantastic on retina devices, with features such as beautiful typography, elegant iconography, latest CSS3 effects, that make you website professional and unique. X is stunning and most popular new WordPress theme with full responsive, excellent multiple and completely unique designs. With highly functional and customizable, X allows you to build all types of sites from one pagers to standard sites to shops and more. The exciting new features and enhancements for this one page site are great for photographers and all creative professionals. Triplo is a contemporary WordPress theme which is suitable for individual creative and small business. Triplo is looking great with the combination of typography and contemporary design aesthetics and beautiful responsive layout , it helps you to present and manage your subject in a unique, simple and stylish way. Telesis is an OnePage WordPress theme for creative companies and individuals featuring full responsive and with a nice parallax effect, as well portfolio slider and integrated social media. It comes with an advanced customizer that helps you to change theme colors and other aspects without touching code. Coastline is a creative WordPress theme with uniquely responsive design specially crafted for creative professionals to showcase your work or thoughts in the most elegant way with amazing look either on desktop and mobiles.